Quick tidbits. This contest is being held by a fellow blogger Mitch and Individ Clothing. The rules for such a thing can be found here. 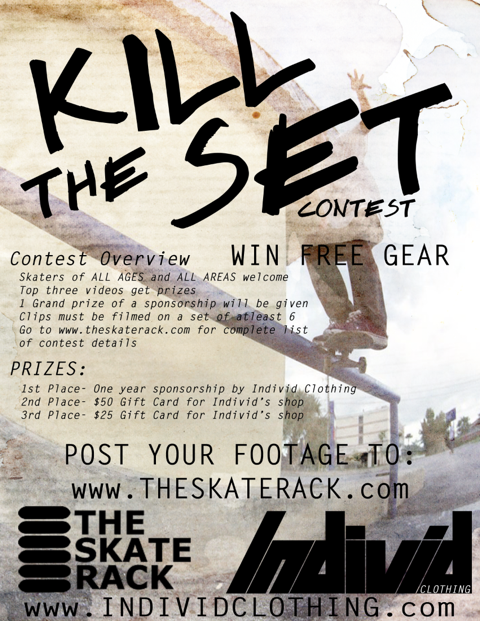 This contest should hopefully bring about some great footage. Next point of business is a clip from my great friend Sean Colello. I haven't skated with the man in quite some time but I've been seeing him around from place to place. He's down with the Mustard movement. He's really good at skateboarding. Has some great pop and ill trick selection. He's also pretty damn chill. And funny. Anyways, enough praise. Peep game, lames!